From Christ to Chalcedon, a study group of the early church as seen through the writings of the early church fathers, is restarting September 20. The Spring 2018 study group ran five-months, one night per month, was well received and attended. 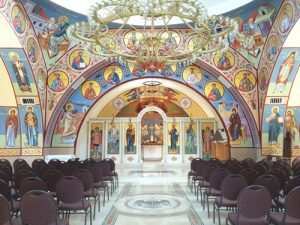 The Fall 2018 study group will meet for three-months, and covers the writings of Hermas, St. Melito of Sardis, St. Theophilis of Antioch, St. Athenagoras of Athens, and St. Irenaeus of Lyons. 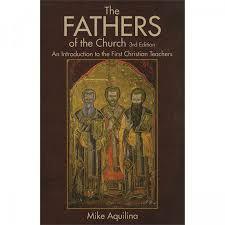 The study volume is ‘The Fathers of the Church’ 3rd Edition by Mike Aquilina. Participants purchase the book on their own. The study group is sponsored the Cardinal Newman Chair of Catholic Studies, Holy Transfiguration Greek Orthodox Church, and churchvisits.com. Dr. Lisa Unterseher, and Fr Vasili Hillhouse are faculty, and the moderator is Chris Thompson. The format will be lecture and Q&A. Course fee is $25 payable at the first session. If you are interested, please contact Chris Thompson at churchvisits@gmail.com. This study promises to fill in major gaps in understanding the early development of Christianity, and is religion neutral. Come join us and learn about those “missing years” in the development of the Christian church. This entry was posted in Church Visits Blog on August 23, 2018 by Chris Thompson.